Contact forms are an essential part of any website. Contact form 7 is the most used contact form creation plugin for WordPress websites. There are more than 5 million users using contact form 7 as a core part of the websites. Simple functionality and such a wide user base create the demand for the extensions that increase the capabilities of Contact Form 7. There are hundreds of extensions available to this plugin. We are excited to introduce one of our such extensions to Contact Form 7 Advance Custom Field as Product of the Month for April 2019. 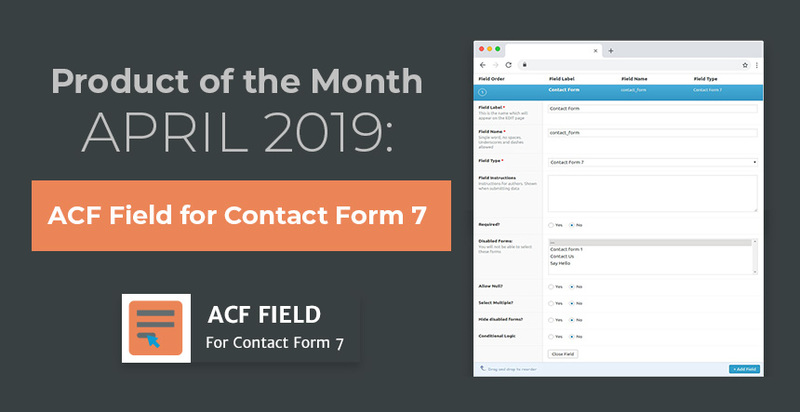 ACF Field for Contact Form 7 is the product of the month for April 2019. It is an awesome extension for the contact forms built using the Contact Form 7 with Advanced Custom Fields. It adds a ‘Contact Form 7’ field type to the Advanced Custom Fields WordPress plugin and stores a contact form in the custom field. You can simply select the form to display from the drop-down menu. This plugin also lets you mark one or more forms as disable to prevent their selection. The best thing about the plugin is that it is Gutenberg compatible and whatever form you select, returns as Contact Form 7 mark up. 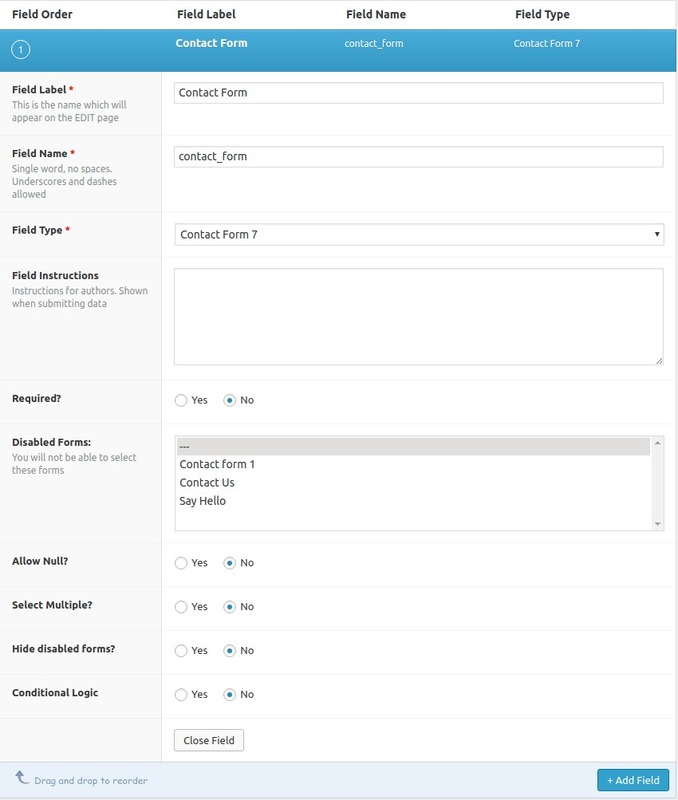 Check out the amazing features of ACF Fields for Contact Form 7 on wordpress.org and download it now.